Why Does the Glomerular Filtration Barrier Not Clog? 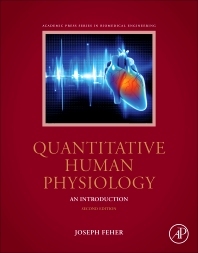 Quantitative Human Physiology: An Introduction, winner of a 2018 Textbook Excellence Award (Texty), is the first text to meet the needs of the undergraduate bioengineering student who is being exposed to physiology for the first time, but requires a more analytical/quantitative approach. This book explores how component behavior produces system behavior in physiological systems. Through text explanation, figures, and equations, it provides the engineering student with a basic understanding of physiological principles with an emphasis on quantitative aspects. Dr. Feher is Professor Emeritus of Physiology and Biophysics at Virginia Commonwealth University. He received his Ph.D. from Cornell University, and has research interests in the quantitative understanding of the mechanisms of calcium uptake and release by the cardiac sarcoplasmic reticulum, in the mechanisms of calcium transport across the intestine, and in muscle contraction and relaxation. Dr. Feher developed a course in Introductory Quantitative Physiology at VCU and has been course coordinator for more than a decade. He also teaches muscle and cell physiology to medical and graduate students and is course coordinator for the Graduate Physiology survey course in physiology given at VCU’s School of Medicine.